Madagascar is an island nation off the east coast of Africa, residing between the Mozambique Channel and the Indian Ocean. While it’s home to thousands of animal species with expansive rainforests and beaches, it has been hit with one of the worst measles outbreaks in decades. 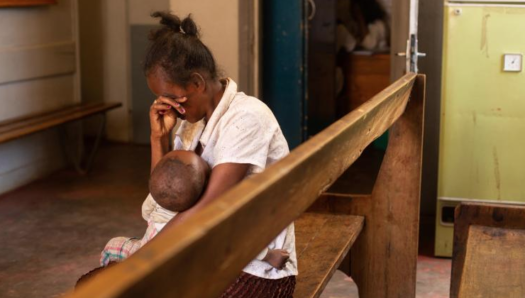 The secretary-general of the ministry of health told CNN that around 50,000 people have caught the disease since October 2018 and there have been more than 300 deaths — most of which have been children. Because of the diseases rarity, it is sometimes labeled as mild virus with limited impact. But it can told rapidly, causing deafness, and in some cases, death, especially when a person is malnourished or isn’t getting the proper care they need. Measles took a hold of Hashina Rarharimandimby’s three children, who died in late January. However, she has brought her youngest surviving child to a clinic for a cough. After his siblings died, he was vaccinated during one of the four planned rounds that was made up of the government, UNICEF, and the World Heath Organization. Rarharimandimby’s children were only sick for three days before they died. They weren’t able to access the measles vaccines in time. The lack of understanding of measles and the anti-vaccine beliefs based on phony science and social media has been on the rise the last couple of years, especially in the United States and France. In countries like Madagascar, where they are still battling a deadly outbreak, has doctors furious. Measles is a highly contagious virus that is spread through the air where an infected person coughed or sneezed in the past two hours. Health officials believe that the vaccine coverage was less than 50% at the start of the outbreak because of a weak health system and failure or routine immunizations.